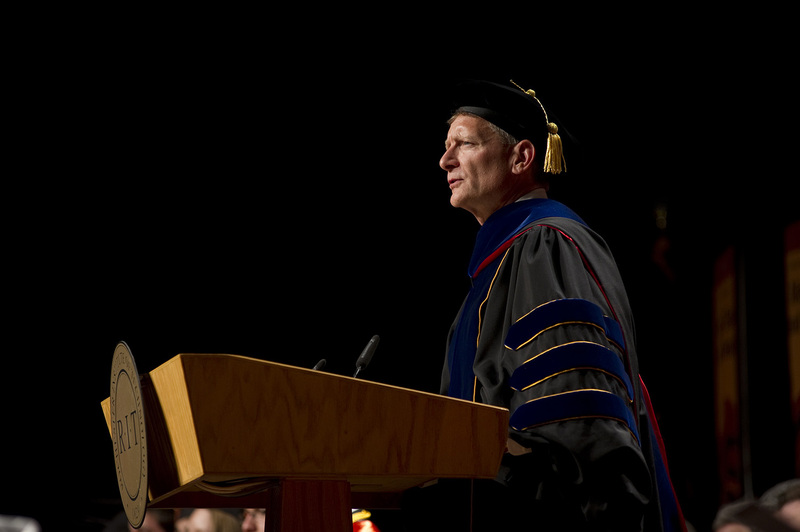 The following is a modified transcript of Provost Jeremy Haefner's 2018 Commencement address. This well-known proverb can be traced back to 1374 in Geoffrey Chaucer’s poem Troilus and Criseyde. Of course, since that time, the phrase has appeared in movie titles, popular songs, books, blogs and so on. The Connect grant committee will be meeting soon to review submissions for the latest round of funding. The program has been highly successful since its inception in 2014, and has had a profound impact on participating faculty. This effect has been especially notable in early career and pre-tenured faculty seeking to enhance and promote their research, develop networking skills and build important career connections. Below is the text of the Provost's fall welcome message, sent to the RIT community on August 29, 2017. As we move through the semester, it may be useful to reference some of the topics listed below. The start of classes affords me the opportunity to personally welcome all the faculty, staff and students to the new academic year. And what a wonderful start we have already: a new president, the most diverse group of new students ever at RIT, and a new academic calendar! The following is a transcript of the remarks given by the Provost at the President's Address to the Community on August 25, 2017. The full video of this event can be found here. Good morning and welcome to the President’s Address to the Community – a special address as this marks President Munson’s first such address. There is always a mixture of joy and anxiety with the start of the new year. Joy in seeing old friends and of course the excitement of the students and parents. Anxiety about the work ahead and whether we are prepared adequately. The following is a transcript of remarks given at RIT's 132nd Commencement Ceremonies in May, 2017. 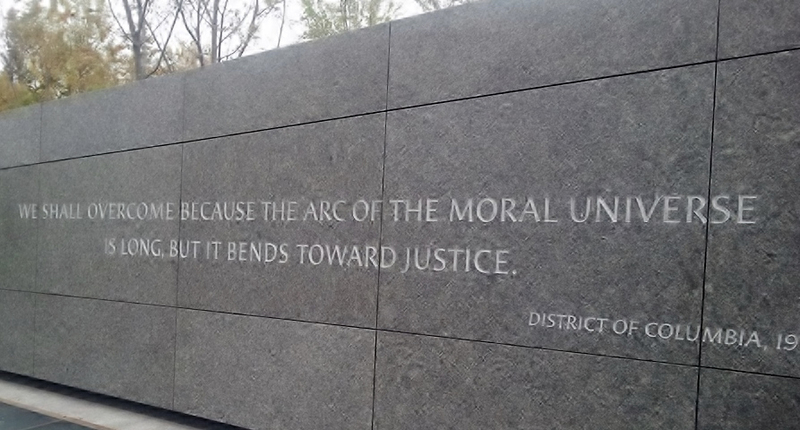 Inscribed in stone at the Martin Luther King, Jr. memorial down in Washington D.C. are the words “We shall overcome because the arc of the moral universe is long, but it bends towards justice." Dr. King used these powerful words, originally spoken by abolitionist minister Theodore Parker, many times to inspire meaningful hope in the context of reality. 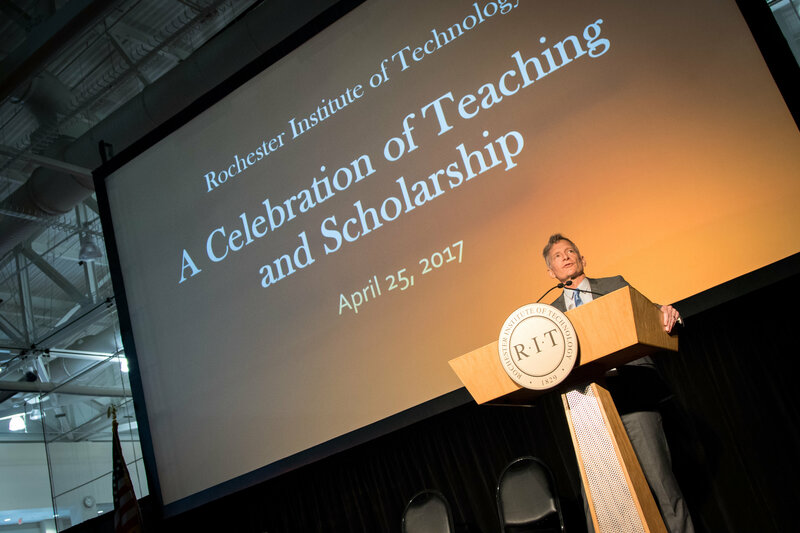 The following is an excerpt of remarks given at the Celebration of Teaching and Scholarship, April 25, 2017. At the core of our mission, RIT is about teaching, learning, and the discovery of new knowledge. Of course, students, faculty and staff make all this work. But increasingly so, space and technology are part of the elixir that makes teaching and new ideas flow. So when space, technology, faculty, students come together just right, learning magic occurs. Representing all of the campus in this magic is the university library. It is a place where students, faculty and staff come to reap the rich knowledge embedded in the information resources, benefit from the exchange of ideas of one another, and just think. The university library represents the nexus of intellectual behavior on a campus. 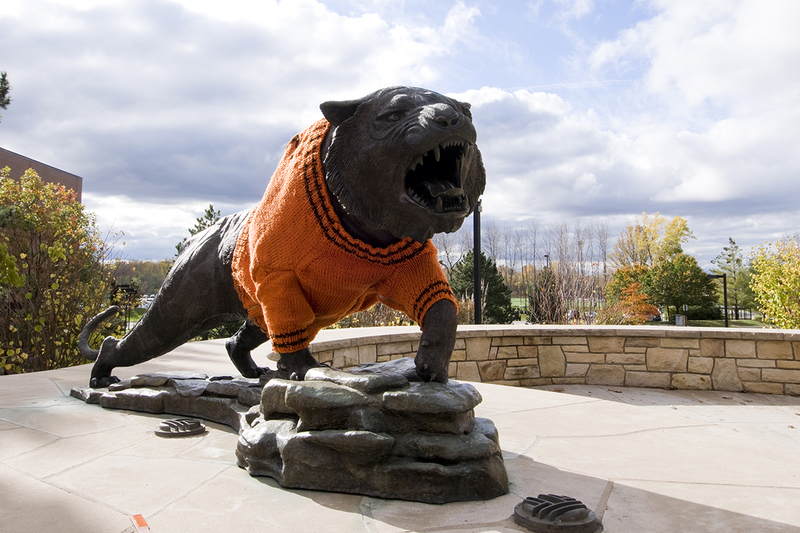 After 18 months of review, research, and discussion, I am pleased to report that we have a new administrative policy that establishes the basic characteristics of the RIT Academic Calendar. These characteristics include such fundamentals as the number of weeks in a semester, our breaks during and between semesters, and our commitment to the success of our students. This is a real advancement of the university.